Described by the New York Times as âarguably the most important intellectual alive,â Noam Chomsky is known throughout the world for his highly influential writings on language and politics. 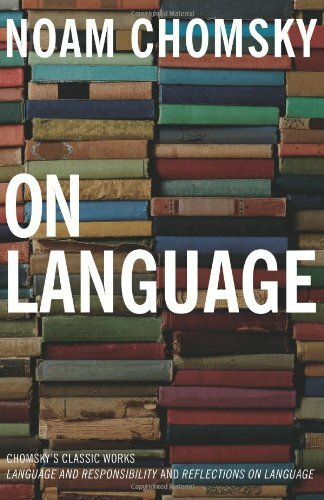 Featuring two of Chomskyâs most popular and enduring books in one omnibus volume, On Language contains some of the noted linguist and political criticâs most informal and accessible work to date, making it an ideal introduction to his thought. About: Described by the New York Times as “arguably the most important intellectual alive,” Noam Chomsky is known throughout the world for his highly influential writings on language and politics. With C. S. Lewis, Noam Chomsky | Reprint edition from Harper San Francisco (January 1, 1995); titled "A Grief Observed"